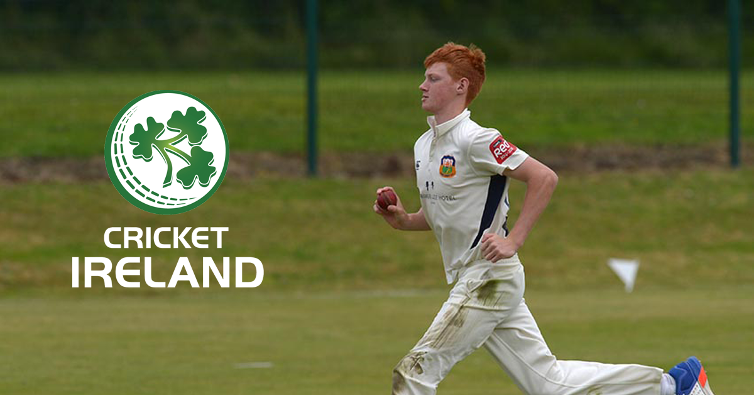 It is an amazing achievement for the 17 year-old from County Tipperary who plays club cricket for Cork County's 1st XI and in the IP20 Series with the Munster Reds. Aaron recently completed a summer cricket scholarship at the highly celebrated Denstone College in England where he played for their 1sts XI and trained with ECB Level-4 coach Simon Guy. The side will be captained YMCA/Munster Reds all-rounder Harry Tector who is one of three players who played in the last Under 19 World Cup in Bangladesh, senior international Josh Little and leg-spinner Varun Chopra are the others. Ireland will do battle with traditional rivals Scotland, hosts Jersey, and Denmark, who finished ahead of the Netherlands in their qualifying tournament last year. The winners of the tournament will play in the 2018 ICC Under 19 World Cup in New Zealand. Former Ireland international Ryan Eagleson is the lead coach, and is happy with the team’s preparations. “We have three matches coming up against English county opposition which will provide the boys with a stern test,” said Eagleson. “There is a good balance to the squad with a number of all-rounders and no fewer than four spinners in the ranks. “The batters have been in good form at club level and hopefully they will enjoy batting on the Jersey pitches which are usually good cricket tracks. “There’s a great prize for the winners with World Cup qualification, and the fact that it’s in such a wonderful environment as New Zealand is an added incentive,” added Eagleson. Captain Harry Tector is relishing the opportunity to lead the ‘Boys in Green’ in the qualifiers, but appreciates it will be a tough challenge. “I’m incredibly proud to lead the team in the tournament and hopefully it will be a successful campaign. “As a captain you look for options and the strength of this squad is the variety and depth that it contains. “We have a number of powerful strikers of the ball and bat all the way down. The bowling has great variety and I’ll have no shortage of people to throw the ball to. “Most of the players have been in great form with their clubs in senior cricket in Ireland, and six of us have played in the inter-provincial series which has been a great experience. Harry Tector (capt) (YMCA/Munster Reds), Ian Anders (Phoenix), Aaron Cawley (Cork County/Munster Reds), Varun Chopra (Coleraine), Mark Donegan (The Hills), JJ Garth (Pembroke), Jamie Grassi (North County/Munster Reds), Reece Kelly (Bready), Graham Kennedy (Ballyspallen/NW Warriors), Josh Little (Pembroke/Leinster Lightning), Sam Murphy (YMCA), Max Neville (Merrion/Munster Reds), Neil Rock (Rush), Morgan Topping (Waringstown). Support Staff: Ryan Eagleson (Head Coach), Nigel Jones (Assistant Coach), Pete Johnston (Manager), Ian McGregor (Analyst), Niamh Connolly (Physio).